Alright, time to discuss some physics again. A while back I outlined the basic dichotomy of quantum gravity. In brief: we have classical general relativity as an excellent description of all observed gravitational phenomena, but when we go to extremely short distances we need to have a good description of quantum gravity. There are two possibilities: either the description of gravitational phenomena by the machinery of general relativity (metric, the principle of equivalence, etc.) holds all the way down to those extremely short distances, or it doesn’t. If it doesn’t, which is my own prejudice, classical general relativity and its variables are never to be quantized, there is no range of energies (or distance scales) which is described by quantum metrics obeying a quantum version of Einstein’s equations. This situation is similar to the hydrodynamical description of fluid motion: it is a classical effective field theory, which breaks down long before quantum mechanics is needed. We can observe granularity in the fluid on distance scales much larger than those relevant to quantum mechanics. From that perspective, quantizing Einstein’s equations makes as much sense as quantizing the Navier-Stokes equations, which is to say not too much sense. Turkey day is upon us. 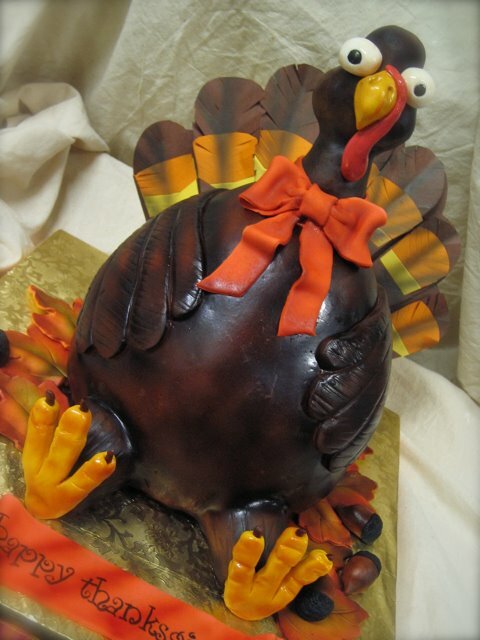 If you want to have some holiday fun, go and read the blog of all cakes gone bad where I got the picture shown here. They have some really dreadful looking stuff out there. Also, I’ll be on Holiday for the next couple of days, so if I stop posting, don’t panic. There are other blogs to read out there. If I’m lucky, Moshe will keep you entertained while I rest a bit. Next time, bring two books. Flying in long flights is the way I usually catch up with movies I have not seen. I’m many times too tired to work, and not tired enough to sleep. If all goes well I get to see one reasonable movie and I’m happy. I usually also bring something to read and that is the best way to spend a long flight. However, as I was traveling back from China, I had ran out of books and couldn’t get anything remotely interesting at the airport (most of the books I could find I was not able to read), so instead I got to see three bad movies. It’s not the first time that I have seen bad movies. However, there are some really irritating aspects of movies that seem to modify some essential part of Newtonian dynamics to get their work going. This is fine sometimes and usually I don’t care, seriously, I really don’t. But this time it was just too preposterous and not just in one movie. Loud explosions in the vacuum of space is one, but not that bad. The telltale sign that it is too preposterous is that I start groaning loudly when the physics is really wrong. If you are next to me on the airplane you might hear me muttering under my breath. This makes me very glad to the SEEx initiative, although I’m really not going to keep my hopes up that the entertainment industry will get the physics right. Ok, so what were the bad movies and why did I groan? I went to graduate school in the University of Texas at Austin, which in fact is the place I first met David. Texas is a strange and wonderful place, and despite appearances a fairly normal locale (as long as you stay in Austin). If you have not lived there for any period of time, you probably cannot appreciate how totally different it is from any other place on earth. Sure, you probably have an image of cowboys driving pick up trucks loaded with shotguns, and country singers whining all over the radio airwaves, or TV preachers preparing for the Last Days apocalypse in late night infomercials. Those familiar images are just the surface of something much more lively and interesting and unique, if at times completely insane. All this crossed my mind when I ran into the following gem at the NY Times today. Continuing David’s link extravaganza, take a look at this good advice. If you are at all familiar with the Texas landscape, even just a little bit, you may become nostalgic, just like me. It’s time for some linking extravaganza. I was reading an article in an airplane magazine that says that blogs that redirect people to stuff they might want to read get more readers and a bigger following. The article suggested 3 external links per post and there was something else about optimizing google searches with people linking back, etc, etc. In the interest of science, I will do just that and watch the results. If they are interesting I might report on them. Otherwise, it is a conspiracy to get more traffic to this site… Hmm. I think this is too obvious for that. Call it shameless self-servitude and we might be closer to the right description. Here is a nice discussion on statistics. This is in a blog by Peter Coles that I like to read. The issues can be complicated at times. Also, Chad Orzel has had some nice posts on morality and the Many worlds interpretation of quantum mechanics. See here and if you want to see me put my foot in my mouth, go read here where Moshe very kindly corrects me. In any case, just for the record, the many worlds interpretation that is used in quasi science fiction does not usually take into account any probability measure. You might also want to try a blog personality test ( as suggested in Asymptotia). Also, if you like academic travel stories, check this site where John tells us about his travels. Sabine also has a fun letter sent to perimeter. Remember, this public service of linking is liked by google. They are the de-facto search engine on the internet. PS. Tell us your opinion on these experiments. There are occasional Science Ethics questions that must be confronted. Sometimes they are big: someone falsifies their data in which case a big storm ensues after it is reported. Sometimes they are small: someone misspells your name in a presentation and you want it fixed. And then sometimes they are interesting from the point of view of `what is right’. So here is one of those. A publishes a paper with a partial analysis on day 1. B, C, D, E publish much more complete analysis between day 10 and day 60. A revises their paper with a complete analysis on day 61 (essentially writing a new paper, but not quite) and does not cite B,C,D,E nor any subsequent paper to day 1. The rationale being that the papers came after the posting date of the original paper and the work was mostly done anyhow. E notices the replacement and believes that A should have cited B,C,D,E. Because A just filed a replacement, this will probably go under the radar unless E speaks up. Unless the referee of the journal is very aware of all the details of the history submission of various versions of the paper etc, he will probably not notice either and then B,C,D,E will look like partial analysis after the big analysis, etc etc. What should E do? Assume that E contacted A and A sticks by their rationale. 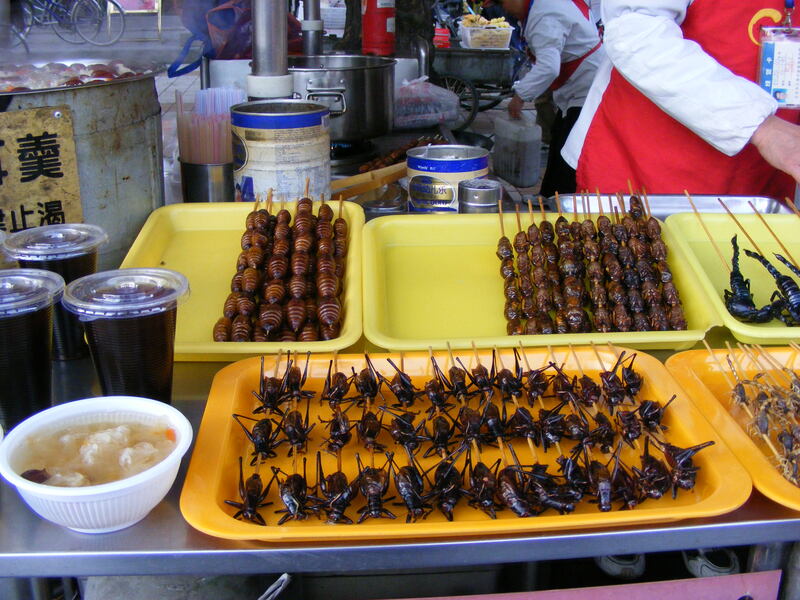 If you are ever the adventuresome type, try eating one of these while you are visiting Beijing.